This low budget method involves purchasing non-rare players who have at least 7 contracts and 99 form at the lowest price and resell 200 credits more than the purchase price (300 more credits if the price Of purchase exceeds 1000 credits). This method is ideal for small budgets to start with but it brings few benefits per card sold. I invite you to switch to other techniques as soon as your budget allows. 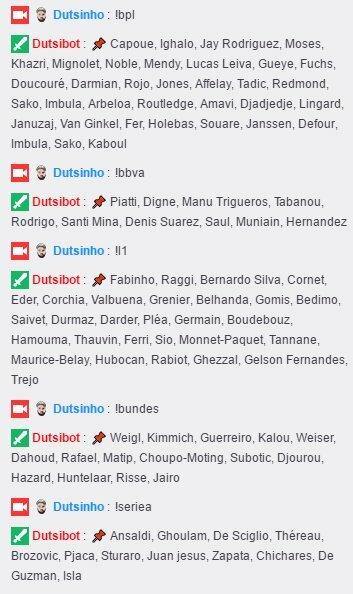 Below is a list of players to use proposed by Dutsinho. It is not necessary to detail the purchase price of these players, usually it is between 300 and 1000 credits.